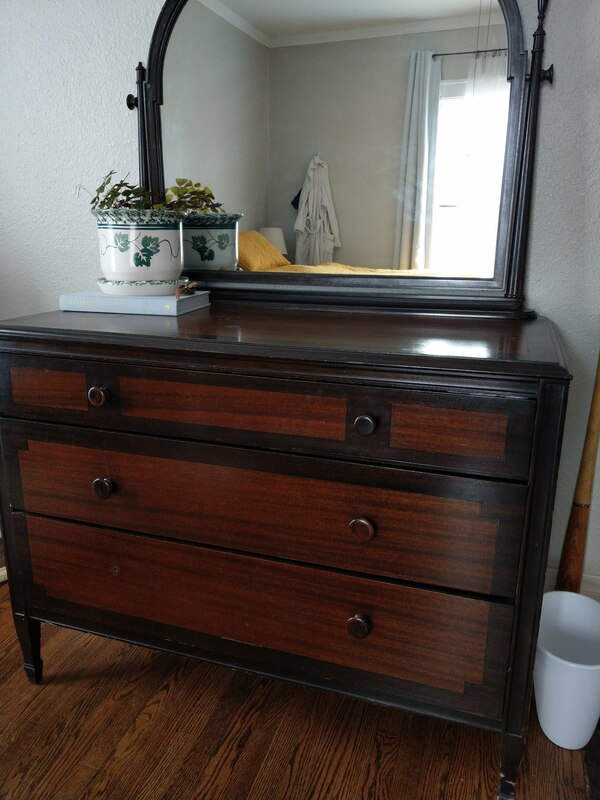 Bedroom Set with Dressers, Mirror, and Double Bed--1940s? 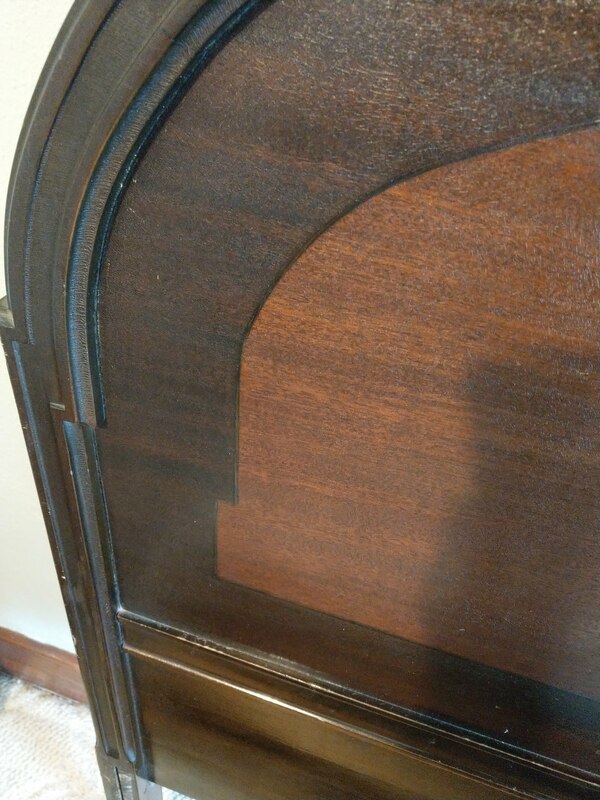 We've recently acquired this bedroom set from a late family friend. 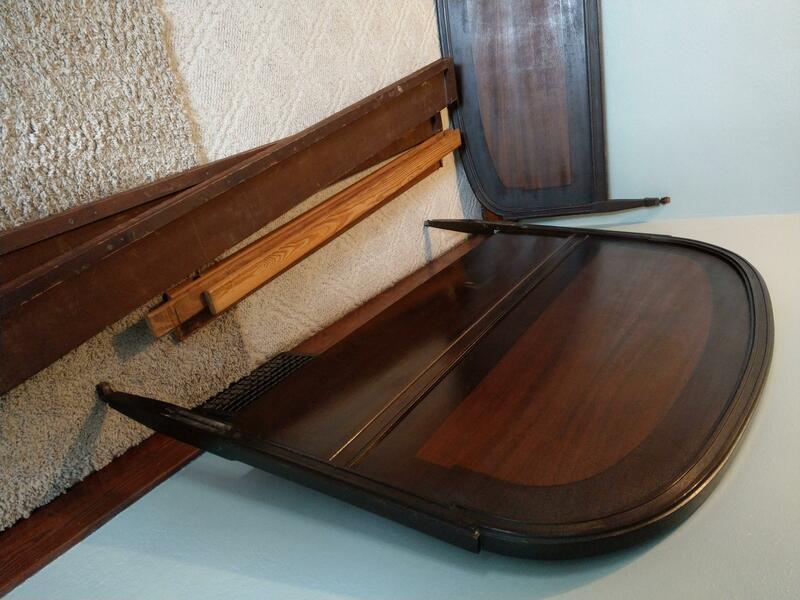 She was a big antiques lover and had many things from Philidalphia, Maryland, and Deleware as her mother and father's families were from those areas. 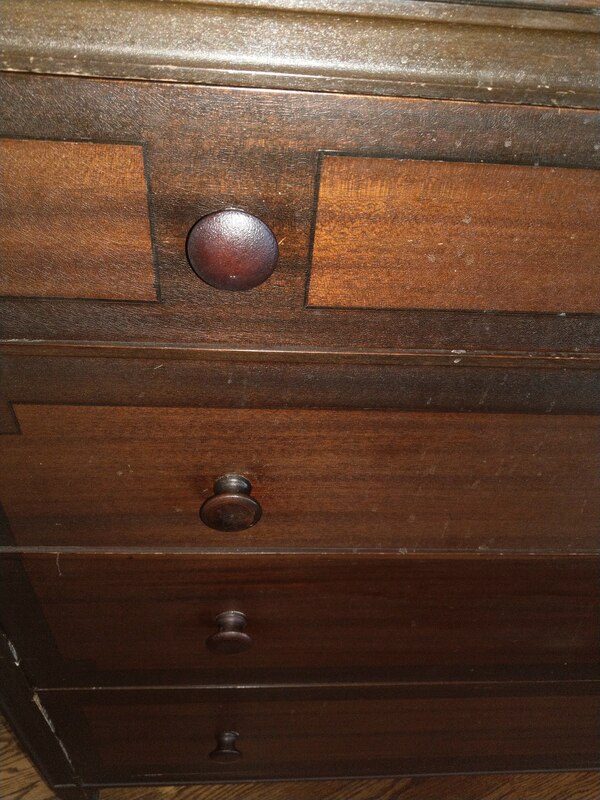 Unfortunately, her children could not remember how long she had this set or where it came from. 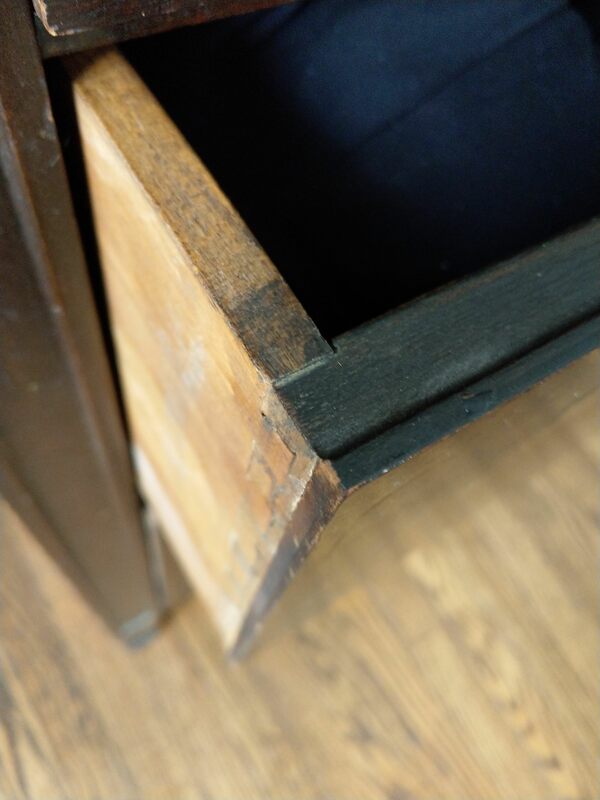 She had it a very long time. 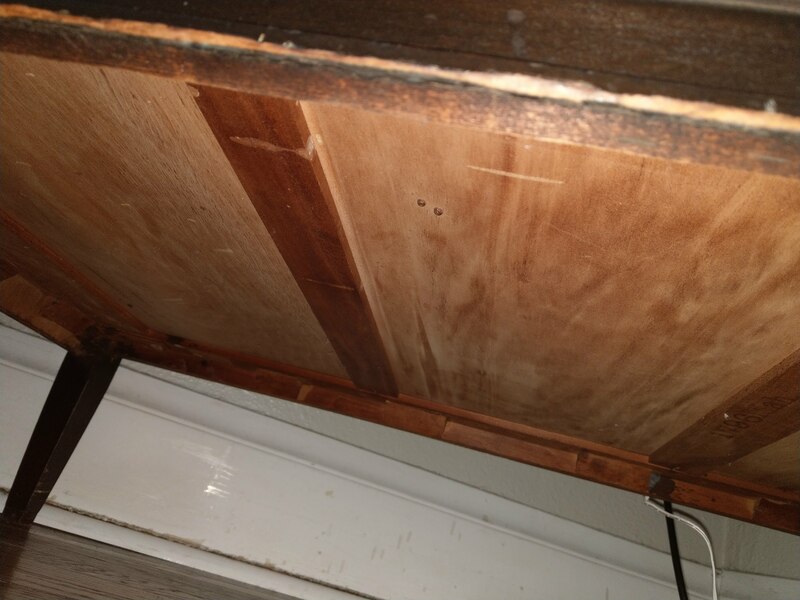 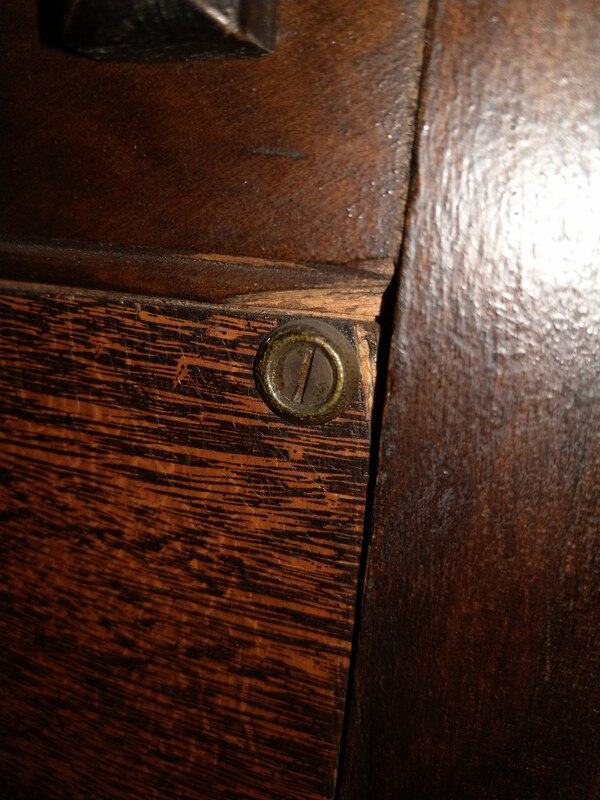 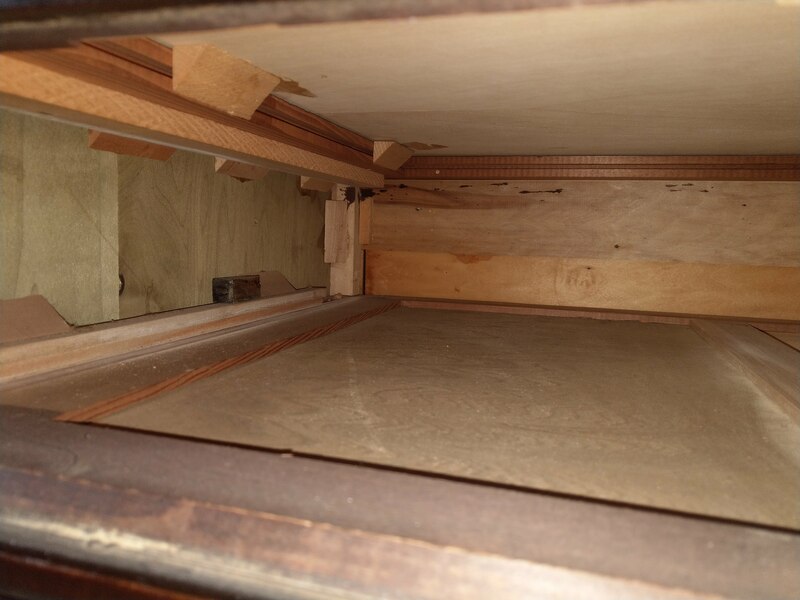 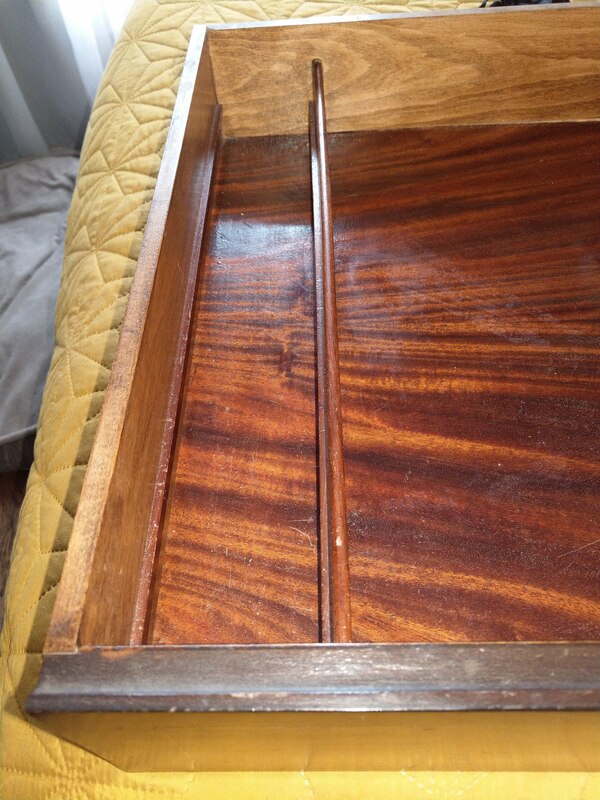 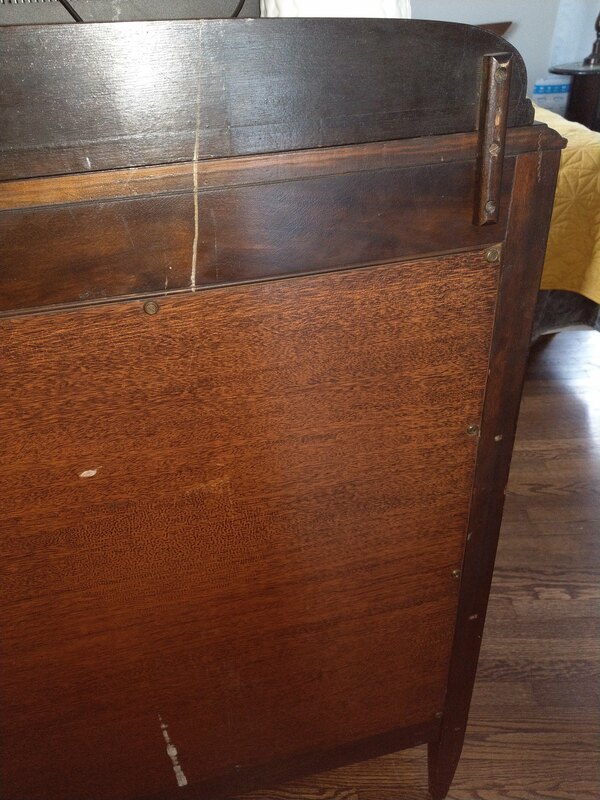 "1796" is stamped into the back of both the dressers. 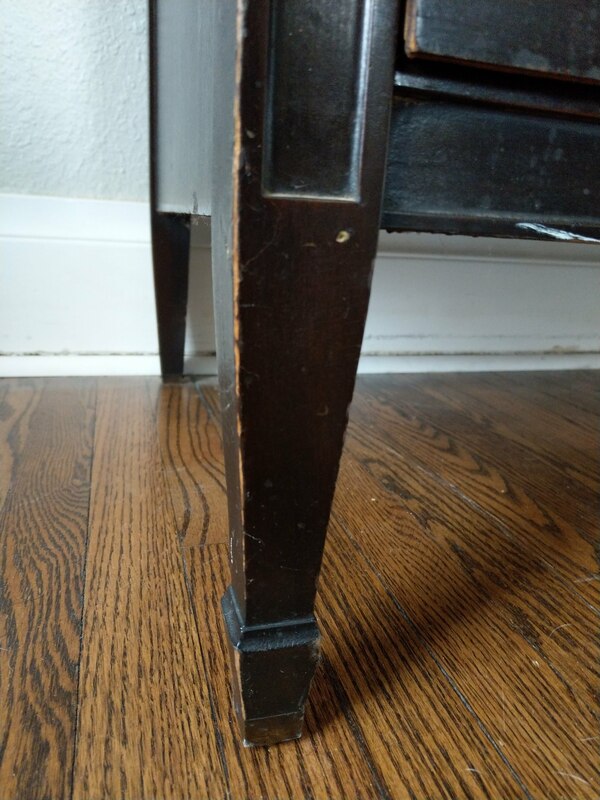 I'm hoping somone can tell me more about these pieces. 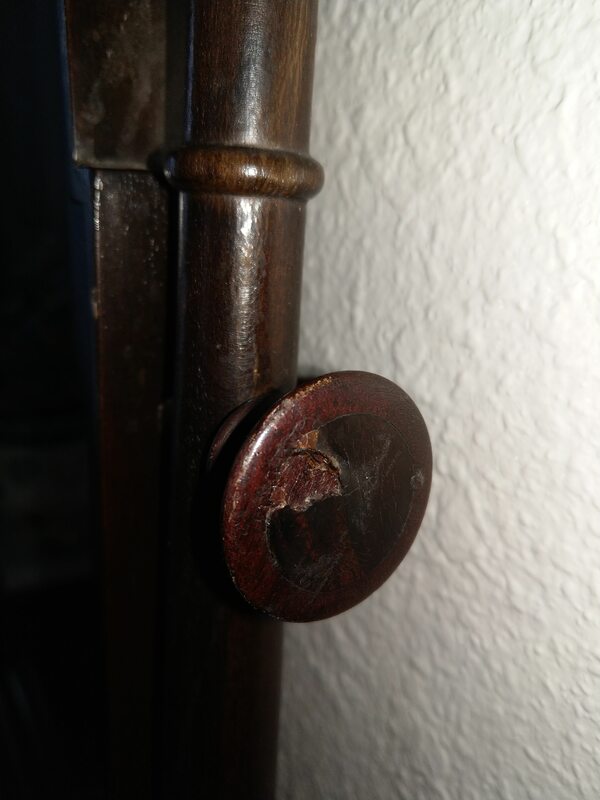 I'm guessing they are from the 1930s/1940s from the looks for them? 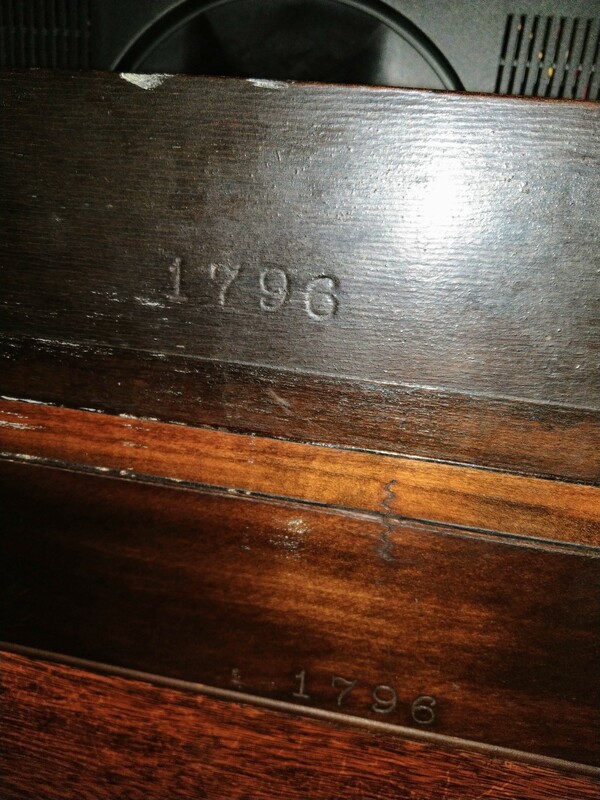 "1796" stamped into wood on back of both dressers. 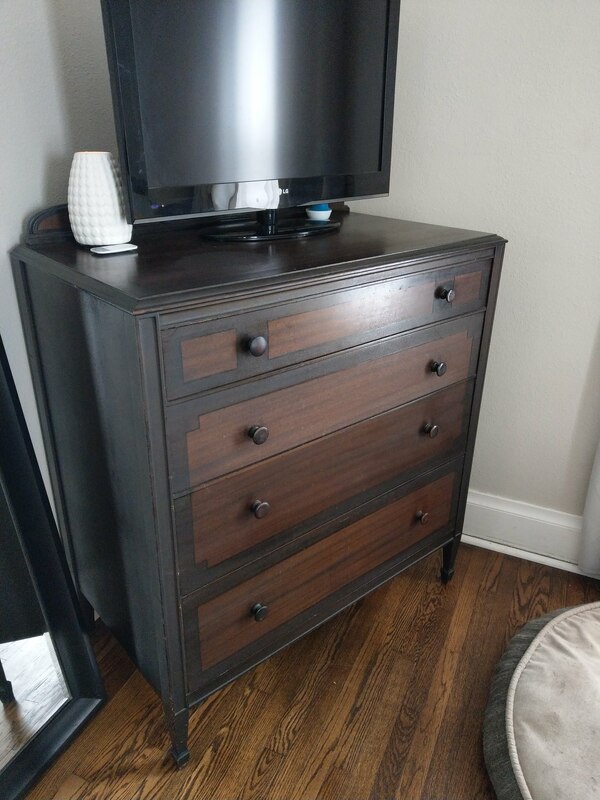 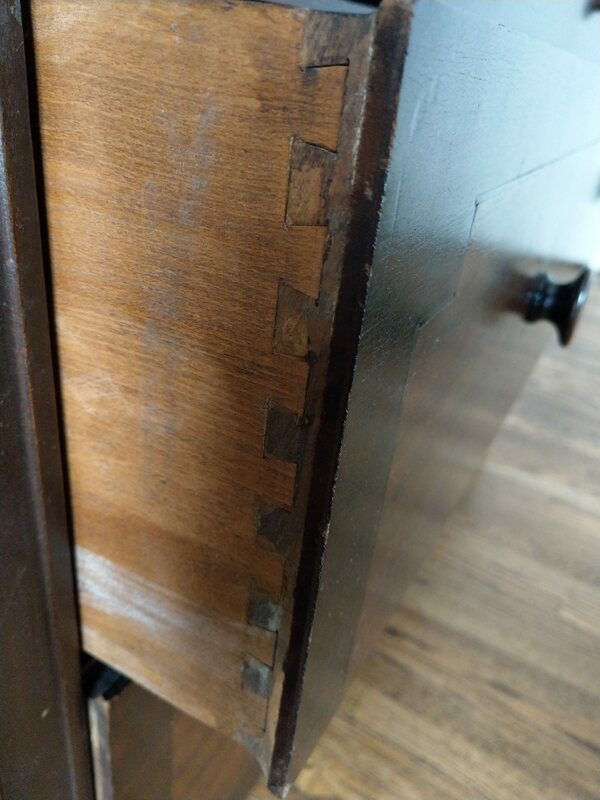 Small dresser has "1796 3/4" mark.